We offer the following Software Solutions to small scale business with 10 or more employees. 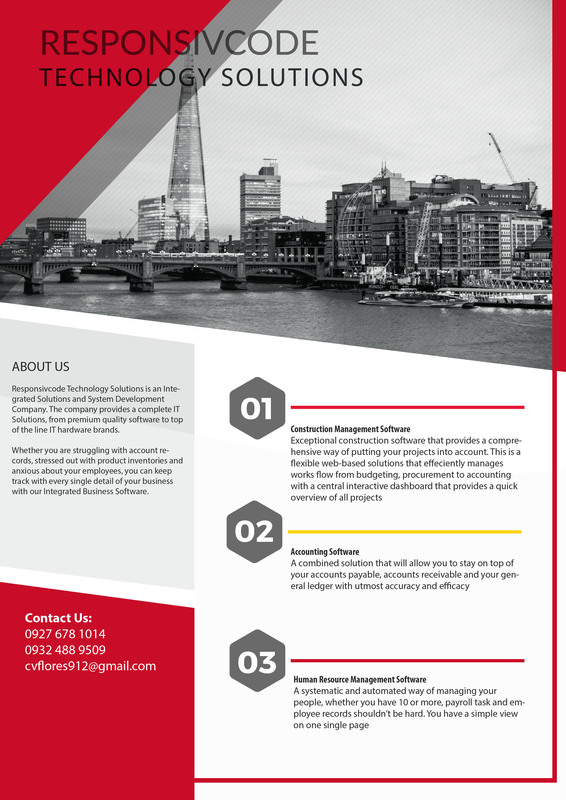 Exceptional construction software that provides a comprehensive way of putting your projects into account. 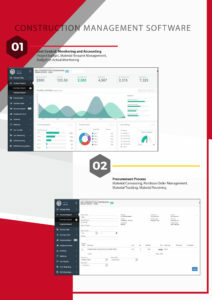 This is a flexible web-based solution that efficiently manages works flow from budgeting, procurement to accounting with a central interactive dashboard that provides a quick overview of all projects. Taking care of your project costs can be mind-boggling especially if you’re not using the right tools. 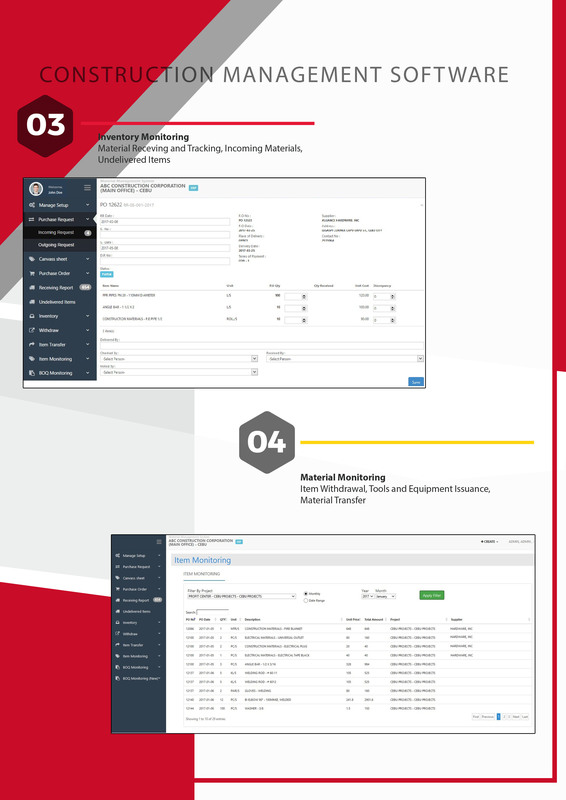 Our Integrative construction management system helps you manage projects. From inventories, material requests, assets transfers, purchase and billing, your bussiness is secured with us. A combined solution that will allow you to stay on top of your accounts payable, accounts receivable and your general ledger with utmost accuracy and efficacy. Effectively deal with your payables and receivables without the bother of keeping up huge amounts of spreadsheets or a columnar notepad. Following the past, due records get less demanding with computerized maturing reports. A systematic and automated way of managing your people, whether you have 10 or more, payroll task and employee records shouldn’t be hard. You have a simple view on one single page. IMIS is an easy-to-use HR/payroll software designed with small and big businesses in mind: simple, reliable and affordable. Designed to be a right in house payroll tax solution for businesses to calculate taxes, generates paychecks for employees & contractors, generate reports and print tax forms. This system is friendly to both small and big companies that do not have accountants. The software was designed with people who have no accounting experience in mind, letting both accountants and average business owners to use it with comfort. Update your stock control to get exact and state-of-the-art stock data information system. Make the best decision for your sales and purchases with real-time reporting that is accessible all the time. We can help you innovate your own brand your own product, your own idea, by developing a web application, office management system or even a mobile app. 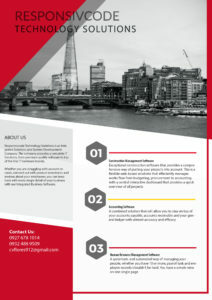 Below is our brochure, please click on the image to enlarge. Please contact us for more information, and request a quote.